The great nineteenth-century military theorist Carl von Clausewitz changed the art of war forever with his masterwork, “On War.” This text illuminated one of Clausewitz’s greatest contributions to military thought: the Trinity of war. 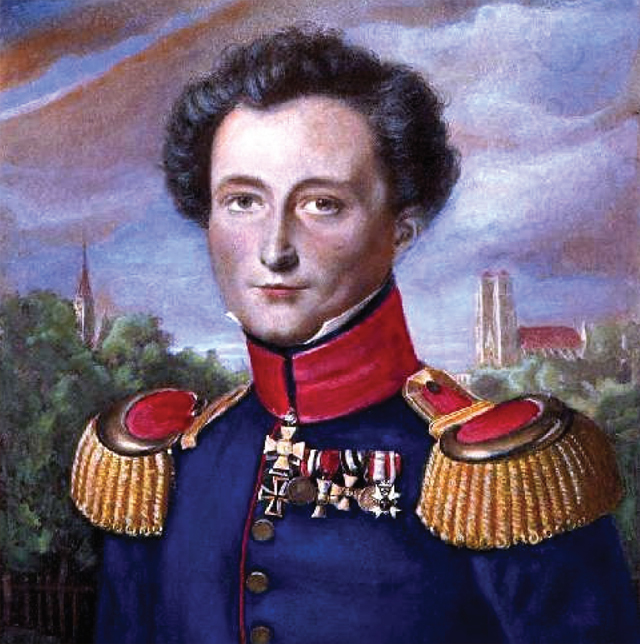 Clausewitz argued that a successful military campaign requires the balanced cooperation of three important levels of society: the political wing (the government), the military wing (the army), and the popular wing (the citizenry). In modern warfare, Clausewitz’s Trinity still remains an important lesson, especially for non-state actors. 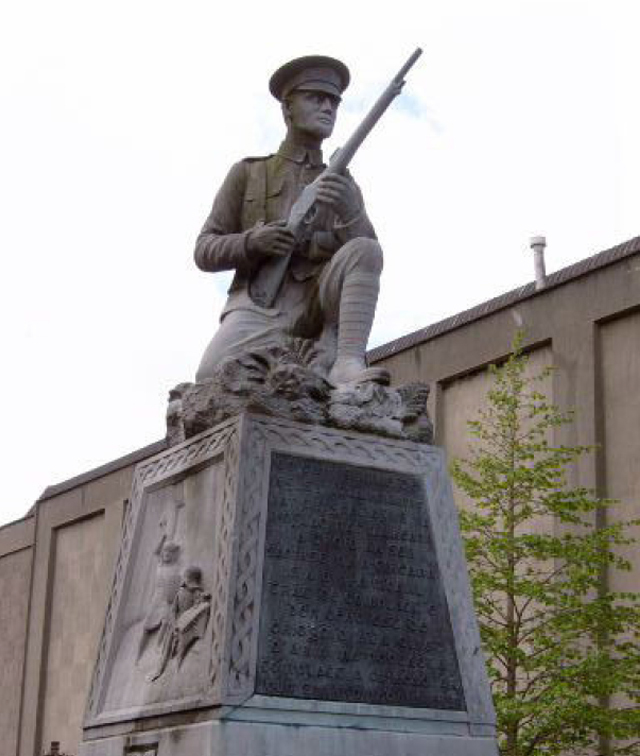 By examining the Irish Republican Army and Hezbollah, we can better understand how non-state actors balance the three branches of the Trinity and achieve their sociopolitical objectives. As the threat of Napoleonic power aggrandizement threatened Europe in the late nineteenth century, many nations dedicated their best minds to the task of repelling Napoleon’s French forces. In 1812, Carl von Clausewitz published a piece on warfare that would affect the military landscape generations after Napoleon’s death. In On War, Clausewitz argued that Europe needed thinking officers, who were capable of philosophically grappling with the very nature of warfare. Clausewitz’s logic was simple: in order to ascertain Napoleon’s military weaknesses, competing European leaders would have to understand the intricacies of the art of war. Clausewitz’s most important contribution to the understanding of war was his theory of the sociopolitical “Trinity.” A successful political agenda, and war strategy, depended upon the relationship of three entities: “The first of these three aspects mainly concerns the people; the second the commander and his army; the third the government.”1 Although the conventions of war, and the global conceptions of sovereignty, have shifted since the early nineteenth century, Clausewitz’s fundamental assertions about maintaining a balanced Trinity seem more applicable than ever to national actors. However, the modern rise of non-state actors has provided a surprising twist to the history of conflict. Unlike state actors, who rest on institutionalized government and military structures to maintain equilibrium, non-state entities are less institutionalized and more likely to be held together by a central ideology or moral ideals. In this essay, I shall compare the Irish Republican Army (IRA), which has successfully transitioned into a legitimate Clausewitzian government arm, with the Shiite group, Hezbollah. This juxtaposition will prove to contemporary non-state movements that only through a transmogrification of military objectives into political operations will a balanced Clausewitz’s Trinity be achieved and sociopolitical gains be made possible. An understanding of the government branch of the Clausewitzian Trinity will inform the comparative relationship between the IRA and Hezbollah. Therefore, a proper assessment of these modern guerrilla actors first requires a thorough investigation into the broader, philosophical fabric of Clausewitz’s On War. Clausewitz does not posit an idealistic or noble conception of war, but a conception depicting the ugliness and unpredictability of conflict. It is this unpredictability that leads Clausewitz to argue that the three branches of the Trinity are “deep-rooted in their subject and yet variable in their relationship to one another.” 2 Although this essay shall focus on the political arm of Clausewitz’s Trinity theory, it is important to remember that a policy which ignores any one of the three branches, or seeks to fix an arbitrary relationship between them, would be useless. A static model of the balanced Trinity cannot be offered. A belligerent must be able to oversee the empowerment of one branch, and the circumscription of another, if circumstances change. It is for this reason that the Trinity balance conceived by state entities must be different than the balance conceived by non-state entities. The ways in which war’s friction affects the public branch of the Trinity differs depending on whether the actor retains the institutionalized support of a government. Additionally, the structural limitations placed upon statesponsored armies are significantly different than the military limitations found in a guerrilla movement. It is for this reason that I researched outside the purview of Middle East nations: to find an equally volatile non-state entity, a comparable non-state movement that had shown a recent acceptance of Trinity verities. Hezbollah, or “The Party of God”, is a controversial terrorist/political/social worksorganization that sprang into prominence after the Israeli invasion of Lebanon in 1982. For historians, Israel’s invasion and lasting occupation within Lebanon became the most significant factor in the radicalization of the Lebanese Shiites under Hezbollah. Hezbollah leaders rationalize the use of military extremism by appealing to the fact that Israel created the context for Hezbollah’s birth and its continued growth. The presence of a foreign occupying force—which imposes uncomfortable legal, economic, and political changes on the native population—has been the catalyst for many historic guerrilla movements. Hezbollah’s role in Lebanese politics can be traced back to 1984, but its ideological foundation began even earlier in the 1980s. However, it is important to note that Lebanese contempt for the Israeli state probably would have fizzled out as a minor rebellion, and never would have grown into a united populist ideology, unless external political forces had aided in the early resistance movement. Over the past three decades, Syria and Iran have significantly influenced the ideology and political growth of Hezbollah. Following a successful Islamic revolution over the secular shah, opportunistic Iranian mullahs turned their sights to the rest of the Middle East. Sandra Mackey writes, “For Iran’s revolutionary leaders correctly saw in Lebanon a fertile opportunity to spread the Islamic revolution beyond the borders of Iran. Whereas Iranian influence tends to use Southern Lebanon, and Hezbollah, as a second breeding ground for revolutionary Islamic political thought, the nation of Syria has been more strategic with its marionette strings. After having suffered defeat at the hands of the Israelis in 1973, Syrian foreign policy became keener to the holistic strategy of Arab-Israeli conflict. In this calculated chess match, Syria began utilizing Hezbollah’s resistance as an invaluable geographic and military weapon. Starting in the early 1980s, Syria pushed weaponry and money into the hands of the Hezbollah campaign, and thereby placed great pressure on Israel, and its controversial control over the Golan.5 At times over the past twenty years, Syrian influence has become so entwined with Hezbollah’s political governance and military decision-making that some political commentators view Hezbollah simply as the radicalized alter ego of Syria, successfully offering leverage for Syrian interests. However, although surrounding Arab nations have furnished startup capital and influenced Hezbollah during moments of warring regional interplay, Hezbollah’s malleable political ideology has given the unique part-humanitarian/partterroristic organization the independence necessary to stand on its own two feet in the Middle East. The religious tinge connected to Hezbollah stood out in the Lebanese community, and became a polarizing factor as the group gained military and social clout. 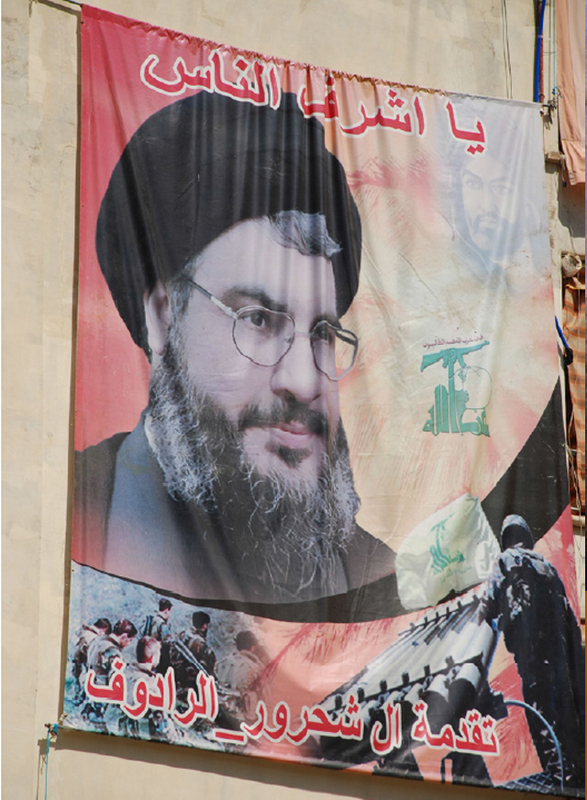 Hezbollah desired that southern Lebanon transition into an Islamic state, thereby coalescing into the broadening Iranian revolution. Although Hezbollah successfully grasped the loyalty of many hard-line Shiite clerics and politicians in the South, the group’s founding platforms proved to be divisive within the whole of Lebanon, and Hezbollah was not able to cut across religious lines in the 1980s and early 1990s. Hezbollah’s leadership became existentially trapped: the group was forced to either amend its ideological aims once again or to accept military victory, therein burying any political future. By the late 1990s and early 2000s, Hezbollah had accrued the political, military, and economic support of many Lebanese constituents, and Nasrallah was not ready to sacrifice these political gifts for the sake of honestly confessing that Hezbollah had completed its original mission. So the political objectives of Hezbollah were redirected towards two foci. By promising to rebuild the entire Lebanese state, Hezbollah turned its efforts to the whole Lebanese people, not just southern Lebanese Muslims. Externally, years of anti-Israeli sentiment morphed Hezbollah’s ideology into a trenchant support for the Palestinian cause; this “altruistic concern” allows Hezbollah to continue sporadic attacks against Israel, whenever the group believes that Palestinian interests are at risk.12 These ideological transformations, compounded by foreign influences, have shaped Hezbollah into a unique Middle Eastern group with a growing number of public supporters. As aforementioned, Hasan Nasrallah revised the ideological trajectory of Hezbollah. However, his most important contribution to the group lies in his work to enter Hezbollah into Clausewitz’s government arm. By channeling Hezbollah’s popular support into the political sector, the group has been able to overcome some of the disadvantages attributable to nonstate entities. Although initially opposed to the creation of a political party, Hezbollah—under Nasrallah’s leadership—eventually saw the benefits of joining the political ranks, and the Party of God became an official Lebanese political party in 1992. Understanding that the current Lebanese government and military were too weak to confront the emergence of a provisional government, the Hezbollah leadership began to legitimize the political arm of Clausewitz’s Trinity through the stimulation of a different branch of the Clauswitzian Trinity: the public arm. Seeing the vacuum of social and financial support after 2000, the group amplified its social works programs—creating thousands of jobs, schools, houses, and medical operations— in order to rebuild the entire Lebanese state. These efforts, complemented by an enriched propaganda movement, merged the Lebanese people with the internal ideological promises of the Hezbollah party, and gave political standing to the group once known only for its terrorist activities. Carl von Clausewitz, On War (London: N. Trubner, 1873), 89. Sandra Mackey, Lebanon: Death of a Nation (New York: Congdon & Weed, 1989), 206. Augustus Richard Norton, Amal and the Shi’a: Struggle for the Soul of Lebanon (Austin: University of Texas Press), 102. Ian J. Bickerton and Carla L. Klausner, A History of the Arab Israeli Conflict (Upper Saddle River: Prentice Hall, 2010), 312. Lawrence Pintak, Seeds of Hate (Sterling, Virginia: Pluto Press, 2003), 290. William Harris, Faces of Lebanon (Princeton: Markus Wiener Publishers, 1997), 302. Ian J. Bickerton and Carla L. Klausner, A History of the Arab Israeli Conflict (Upper Saddle River: Prentice Hall, 2010), 318. Lawrence Pintak, Seeds of Hate (Sterling, Virginia: Pluto Press, 2003), 314. Committee on International Relations, Hezbollah’s Global Reach (Washington DC: U.S. Government Printing Office, 2006), 39. Lawrence Pintak, Seeds of Hate (Sterling, Virginia: Pluto Press, 2003), 292. Committee on Foreign Affairs, The Political Situation in Lebanon (Washington DC: U.S. Government Printing Office, 2007), 4. Deaglan de Breadun, The Far Side of Revenge: Making Peace in Northern Ireland (West Link Park: The Collins Press, 2008), 2. Colin Coulter and Michael Murray, Northern Ireland after the Troubles (Manchester: Manchester University Press, 2008), 57. M.L.R. Smith, Fighting for Ireland? The Military Strategy of the Irish Republican Movement (London: Routledge 1995), 3. Colin Coulter and Michael Murray, Northern Ireland after the Troubles (Manchester: Manchester University Press, 2008), 143. Christopher Farrington, Global Change, Civil Society, and the Northern Ireland Peace Process (New York: Palgrave MacMillan, 2008), 10. Should the Responsibility to Protect be Enshrined in International Law?